Are you looking for a way to utilize technology in class? Maybe you want to take your class to the computer lab for the day or let them get online with their phones. This is a SIMPLE way to use technology in class and help your students understand a vital part of American history, the Harlem Renaissance. In this FREE activity, your students will go to various sites and learn about many artists from the Harlem Renaissance. Poets, authors, musicians, and the like are featured in this webquest! Just print out the webquest and let them answer the questions. 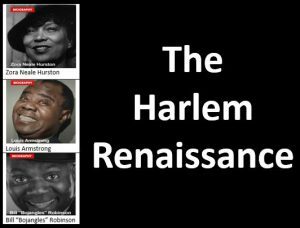 To download the FREE source, just click below where it says “Harlem Renaissance (Click Here).” Let us know on facebook what you thought of this source!